If you ever spent time with writers, you learn quickly that those who have spent any length of time in the business have quite a few war stories. It’s a brutal business where the “overnight success story” is generally ten years in the making. To celebrate the launch of her latest novel, BEST DAY EVER, we asked Tall Poppy Writer Kaira Rouda one simple question, and her answer is a delightful reminder that not everything in publishing is doom and gloom. Read on! TPW: Talk about one thing that’s making you happy right now? Kaira: My publisher. Graydon House. A new imprint of Harlequin/HarperCollins. Here’s the thing, In my fiction career, I’ve been a self-published and small press published author. I’ve loved learning the self-publishing ropes along the way, and I’ve been blessed with great partners like Greenleaf Book Group and Tule Publishing. But I’ve never experienced or expected the kind of support that has come my way since signing my two-book deal with Graydon House. I have over the years heard the tales of traditional publishers letting authors down and I know how fortunate I am. I’m pinching myself. Graydon House is a new imprint. I didn’t really understand what signing with a new imprint would mean for me and BEST DAY EVER. But now, I’m beyond blown away. About a month after I signed with Graydon House, my editor called to let me know BEST DAY EVER would be one of the four imprint launch titles. A couple months later, she called to let me know it would be published in hardcover – and also in the UK and Australia. Then she called and asked if I would like to attend Book Expo in New York, and ALA in Chicago. See, none of these things ever seemed within reach, and suddenly, they all were. I’ll never forget the moment I walked inside the Javitt’s Center in New York and saw my book on a huge banner. I still get the chills. I met so many authors and readers and book people at these events, people I never would have had the chance to meet before. This summer has been surreal, and exciting, and beyond my wildest dreams. So, in a nutshell, Graydon House and all of the team at Harper Collins/HQ in New York, and Tornonto, and the UK are the one thing that’s making me happy. Did I mention, I had the chance to meet my HQ team in London, and had a tour of the News Building offices adjacent to The Shard, before touring local bookstores? Yep, pinch me. If I told you about the marketing plan – including an ad in Entertainment Weekly – you wouldn’t even believe it. It’s incredible. So now, after a year of support from the best marketing, editorial, publicity teams and sales force in the industry, BEST DAY EVER is out in the world. It has had the best launch any author could ask for, and I couldn’t be more grateful. 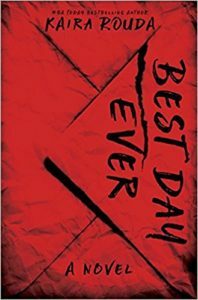 I hope you’ll consider reading BEST DAY EVER. It will make a whole bunch of people who’ve worked very hard to bring it to you, very happy. About the Author: Kaira Rouda is a USA TODAY bestselling, multiple award-winning author of contemporary fiction exploring what goes on behind closed doors of seemingly perfect lives. Her novels include BEST DAY EVER, ALL THE DIFFERENCE, HERE, HOME, HOPE, IN THE MIROR and THE GOODBYE YEAR. 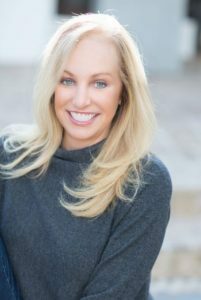 Her modern romance novels are set on beaches, including the Indigo Island series and the Laguna Beach series, also its own Kindle World. She lives in Southern California with her family and is at work on her next novel. Connect with her on Twitter, Instagram and Pinterest: @KairaRouda; and on Facebook at Kaira Rouda Books. For more please visit wwww.KairaRouda.com. Your Cinderella story gives all of us writers hope! Yet, I’m guessing you didn’t get where you are now without a lot of hard work and that is something we can all learn from. Things that look “easy” rarely are without a lot of down-and-dirty elbow grease.